Just a quick four mile run this morning. It was nice and cool at 55 degrees. I wanted to keep near or below marathon pace for most of this run. I need to get a better feel for the pace I will be running next Saturday. I don't want to go out too slow or too fast. I am planning on signing up to run with a 3:50 pace group. After running all my long runs with a group this summer, this should be the best way for me to ensure I finish under four hours. 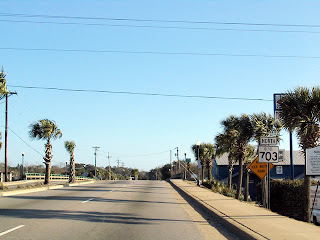 I ran in Mount Pleasant today and stayed on Coleman Blvd most of the time (tons of street lights make it a little easier to see at 5:45am). I warmed up for a mile (9:58) and then ran near marathon pace for the last three miles (8:40, 8:46, 8:41). I walked a little after my run as a cool down. I checked the Washington DC weather forecast for next Saturday (that's as far out as they have it so far) and its going to be cloudy, low 52 and hi 66. That may change for Sunday, but it sounds great right now! Only 9 more days until the Marine Corps Marathon! Click here to donate to the Injured Marine Semper Fi Fund.